Save our snapcode below to your phone. Click the ghost logo at the top of the screen. Tap the snapcode you saved to your phone in Step 1. 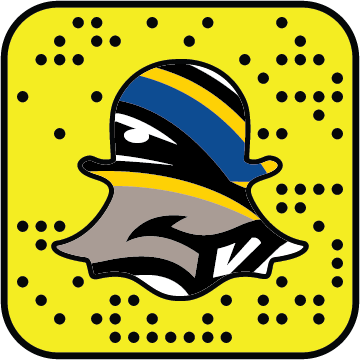 Want to run the Goucher College Snapchat or Instagram for a day? Fill out the form below to participant in Takeover Tuesdays! Each Tuesday during the school year, we'll hand over our Snapchat and Instagram accounts for 24 hours. Takeover Tuesdays give the Goucher community an inside look at what’s happening in the lives of students and on campus. If you have any questions, email social.media@goucher.edu. You can select both if you'd like!